This is my twentieth IA Summit and my first time contributing to the closing ritual. As you might expect of an introvert who wrote a book about planning, I’ve prepared my madness in advance. I hope to share a few passages from The Wild Edge of Sorrow. 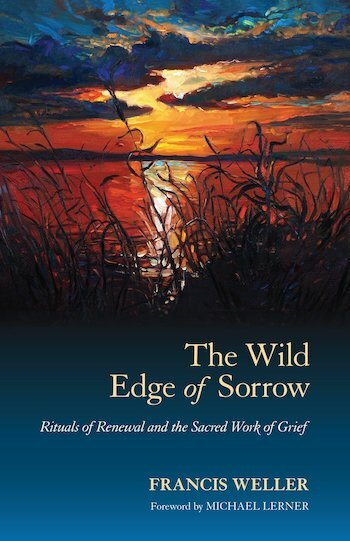 It’s a wonderful book by Francis Weller about rituals of renewal and the sacred work of grief that relates to what’s happening today. He begins by acknowledging that grief and loss touch us all. When we gather in community for a grief ritual, we listen as the faces of loss are named: the death of a partner, a child, a marriage; the suicide of a parent or sibling; cancer and its rapacious consumption of life; a home lost through foreclosure; broken childhoods filled with alcoholism, violence, and neglect; the lingering scars of those who fought in wars; chronic illnesses that depress and debilitate; lives lost to addiction; and a prevailing sorrow for our struggling world. He explains why grief matters now. Sorrow helps us remember something long intuited by indigenous people across the planet: our lives are intricately commingled with one another, with animals, plants, watersheds, and soil. Our personal experiences of loss and suffering are now bound inextricably with dying coral reefs, melting polar caps, the silencing of languages, the collapse of democracy, and the fading of civilization. The personal and the planetary are inseparable. He suggests how to move forward. Grief is an intensely interior process that can only be navigated in the presence of community. This is the solitary journey that we cannot do alone. Ritual provides something that we deeply need: a level of witnessing that truly enables us to be seen. Even as we recognize our own inevitable ending, there arises a feeling of gratitude, of grace, that we have been gifted with this time, these particular people, and this astonishing planet. How do we say goodbye? How do we acknowledge all that has held beauty and value in our lives – those we love, those who touched our lives with kindness, those whose shelter allowed us to extend ourselves into the world? How do we let go of sunsets and making love, pomegranates and walks on the bluff? And yet, we must. We must release the entire, fantastic world with one last breath. As I read this book last week, it occurred to me that five minute madness is our ritual of grief and gratitude. Even as we prepare to say goodbye and go back to our lives, this unusual rite of passage amplifies the experience of belonging and inspires us to go forward with honesty, courage, kindness, and compassion. So, thank you all for participating in this conference and in this ritual, and thank you for your attention.